I’d never been through an automatic car wash before I moved to Portland. Where I grew up, you simply threw some laundry detergent in a 5 gallon bucket, grabbed two sponges and went to work on your tan for 25 minutes. You might think that it rains enough in Portland to keep from having to wash your car, but the amount of grime coming off of the wet roads combined with the buckets of wild goose poop falling from the sky, make it important to visit an automated car wash about every two weeks… unless you don’t mind looking like you’ve just driven in from Sarajevo after a round of heavy shelling. The mechanical car wash is probably a lot of fun for people who drive cars that could be described as “new-ish”, but for those of us rollin’ in vehicles produced during the Sunglasses & Saxophone era of the Clinton administration, the wash is a lot like braving a middle school pillow gauntlet (mostly irritating with increased chances of vandalism as you near the end). The first trick in navigating the auto wash is to attempt to maneuver your car into the driveway while locking your left front tire into something that I refer to as “the dragging apparatus”. The dragging apparatus turns your car into one of those automobiles at Disneyland; you can jam on the gas and twist the steering wheel all you want, but it’s not going to get you to the end of the ride any faster. Getting your tire into their little bear trap can be a bit of a challenge: if you come in too slow, you’re gonna have to crank on the steering wheel to make the necessary adjustments. If you come in too hot, that poor teenage kid dives for cover into the currency exchange booth. Either way, it’s a little bit like trying to land your F-14 on the deck of an aircraft carrier after getting spooked by enemy fighters. Your gut tells you to pull right, your passenger is telling you to cut left, and the kid waving you in just keeps showing you the back of his hands while refusing to make any eye contact with you. The fun begins when you crank the window down to tell them that you want the cheapo wash… because you are about to pay this kid out of your ash tray. This is harder than it sounds because the minute you get your window down a second employee opens fire on your vehicle with a water cannon powerful enough to bore a hole in in the Death Star’s flak jacket. This means you’ve got to immediately begin cranking your window closed while shouting “regular wash!” through the tiny opening in the window and still be heard over the whirling maelstrom of the car wash.
We haven’t even driven into the tunnel of love yet. If you drive a car like mine, the employees immediately begin using blue masking tape to secure just about every portion of the car to another portion. This includes making a giant X across the rear window because that’s what you do when you don’t have any plywood and a hurricane is about to blow ashore. 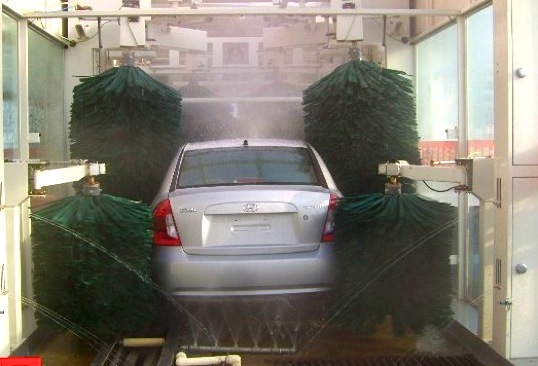 The first stage of the car wash is probably referred to by the employees as “the sudser”. This is calm before the storm when your car gets covered in an aromatic pink foam. You might be tempted to use this moment of quiet to catch your breath, but this is when you need to immediately begin taking off your jacket and your socks. The second stage of the wash cycle appears to be an attempt to beat your car into submission by repeatedly slapping it with thick strips of ShamWow material. 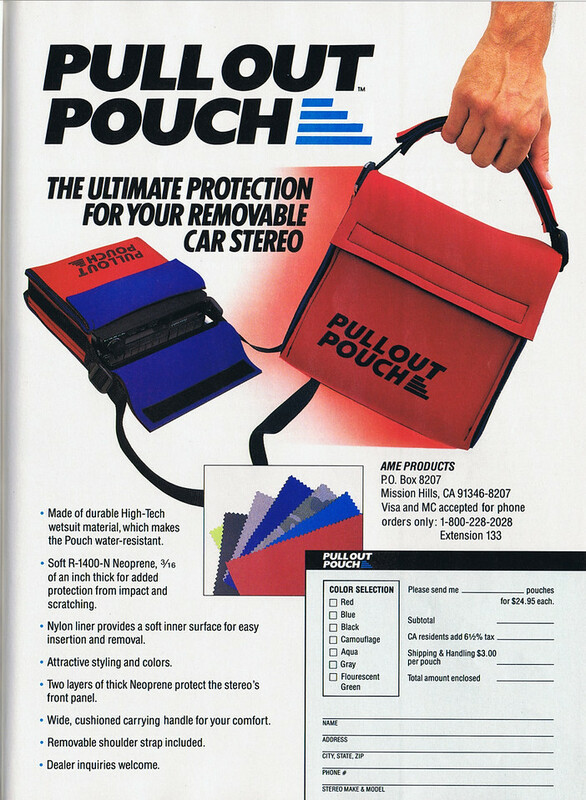 This will make your car rock back and forth like someone inside is fending off an angry badger with a shake weight. You must fight off the disorienting effects of this stage if you are going to be successful in stage three of wash cycle: The Power Rinse. The high intensity jets of water that assault your vehicle immediately reveal whatever leaks your car has developed. In an older vehicle, water will begin running down the insides of the windows regardless of how tightly you have cranked them. Occasionally water will begin finding its way in through the air vents, and it’s important to keep an eye out for any geysers that spring up from the floor. This is where your jacket and socks come in handy; grab whatever fast food napkins you’ve stashed in the glove compartment and immediately go to work staunching the water flows as quickly as possible. You may not feel like a doomed German submarine crew member, but rest assured, this is what you look like to anyone watching through the giant exterior windows. Stage four is the ride out. There’s nothing you can do but sit back and pray that the gale force winds buffeting your auto will not remove the windshield wipers from the hood. There are moments during this portion where you will probably see something tear off of your car and fly behind you. This should be expected, especially if your car stereo is a cassette player that can be removed and carried around like a lunch box. Do not attempt to roll down your windows to retrieve anything that has been stricken from your vehicle, this will lead to deafness, strangely in the ear furthest from the open window. I’ve survived the automatic car wash in a ‘78 Datsun, ‘87 Chevy Corsica, and a ’90 Jeep Cherokee. I’d love to hear about the sweet rides you’ve lived though the launder with. The first time I took our grand daughter in one she screamed the whole time terrified and I couldn’t get to the back seat to comfort her as the doors were getting power washed. I felt so bad for a long time. Can you imagine the poor baby? She had no idea what monster was attacking us. My dog and 4 year old hate riding through the car wash. But my 6 year old thinks its as fun as the Carnival! I did survive a car wash in a 62 Ford Fairlane. Aaah….yes….fending off the loose badger in my sealed auto with a shake weight….I haven’t done that since last summer….